Easily call, text or email your kids with a single "tap"
Assign a detailed description to each event featuring your kids. 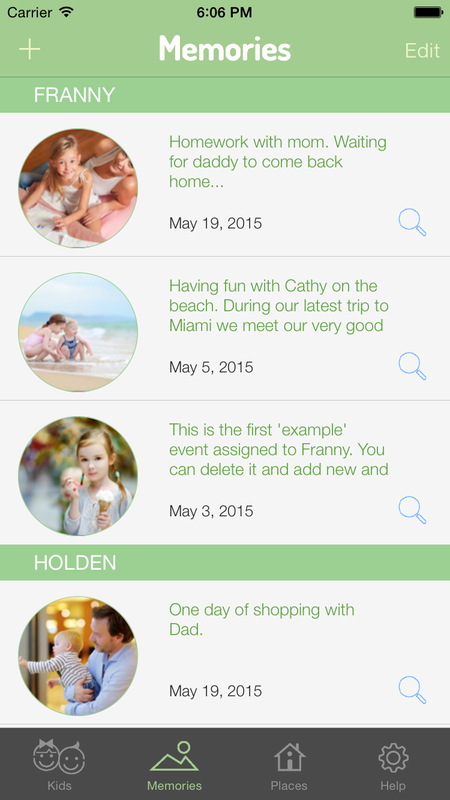 My Kids’ Memories helps you record and store your kids’ best memories and events. 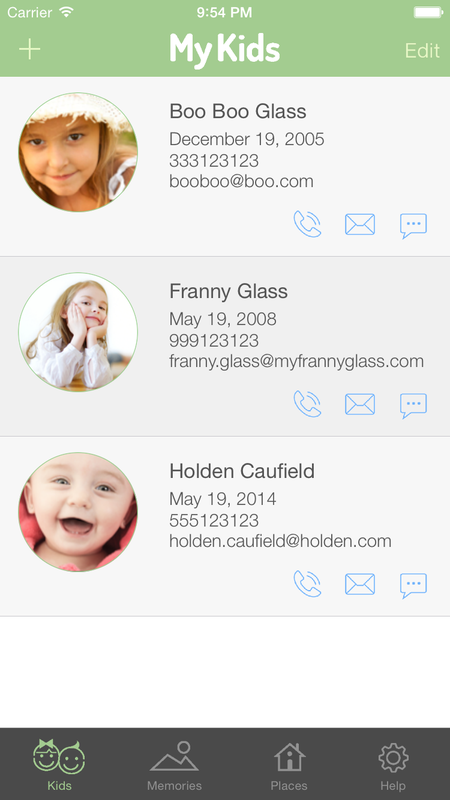 Easily create your private photo album of the best moments, memories, photos and videos with your kids and family. Assign a detailed description to each event featuring your kids. A modern time capsule to preserve your loved one’s memories.